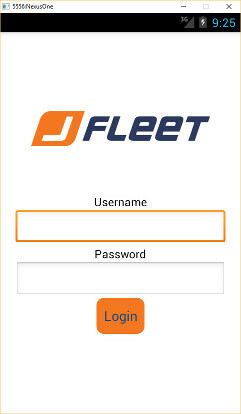 By providing drivers with the JFleet Mobile Application we can know and register regular GPS positions, communicate with them with an intelligent messaging Trucking Dispatch Software and send them their daily activities. All this without needing to pick up the phone! 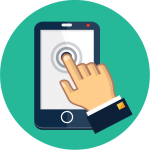 A distinct advantage of the mobile application is that it allows the dispatchers and the drivers to communicate. In addition to allowing the dispatcher to have control over the driver’s route, JFleet Trucking Dispatch Software allows instant sharing of information and distribution of tasks to staff on the road. Tracking the evolution of tasks and activities. The road personnel can see all activities and tasks to perform and in what order. All details are communicated to him, such as appointments, routes to follow, contacts, delivery details, etc. 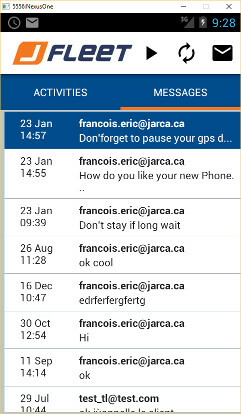 Message management. When a driver texts a dispatcher, all dispatchers see the message in real time. The appropriate person can respond. The GPS position or geo-tracking. This feature allows you to follow the exact geographic position of drivers continuously. In this way, it is able to save a history of road trips. Management of driver expenses. JFleet allows you to manage and validate from a distance requests for approval of waiting times. In this way, once the dispatcher receives electronically the customer’s approval, she can approve or reject the request for a waiting time. All actions registered by the mobile application automatically and instantaneously adjust the driver’s pay. The same is true for all other expenses, such as fuel consumption.